To use the pump in a vehicle, a pump would be placed in both the oxidizer and fuel tanks and a third pump or a set of pumps would be used to supply pressurant to a gas generator. The pressurant pump(s) would run on pressurized helium or air. The pump(s) would either supply propellant(s) to a gas generator or liquefied gas to an engine-mounted heat exchanger. Heavy pressurant tanks would not be required. Because the pump weight scales linearly with flow rate and pressure there is no penalty associated with size. 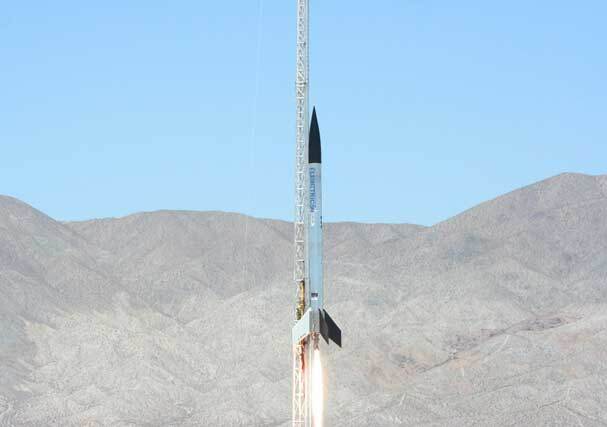 Therefore the rocket vehicle can use a number of independent tanks, engines and pumps to ensure redundancy. For example, there could be 6 or more propulsion modules arranged in a ring, if one system failed, the one on the opposite side could be shut down, the remaining engines could be throttled up and the vehicle could continue. Also, because the pump chamber is relatively small, the fuel pressure can be easily controlled to vary the thrust without having to vent pressurant. Analysis of the system and mission will determine the optimum chamber pressure for the vehicle, which will probably be higher than for a pressure fed vehicle and lower than for a vehicle which uses a turbopump. The pump can be used to replace turbopumps for rocket booster operation or it can be used to replace high pressure tanks for deep space propulsion. It can also be used for satellite orbit changes and station keeping. A launch vehicle could also be built with this system. In space propulsion systems generally use pressure fed systems. These systems require heavy high pressure tanks. Pump technology is crucial for reducing tank mass and increasing specific impulse of in-space rocket propulsion system by means of higher combustion chamber pressure. Also, for spacecraft that use a large turbopump engine for main propulsion, it makes sense to utilize low-pressure propellants from the same tanks for the RCS system, as this allows for the RCS to act as a backup for the main propulsion system. This system design could also benefit from a pistonless pump. The pistonless pump design will increase payload capacity compared to the pressure fed systems. For instance if they had used a pistonless pump for two recent missions, payload capacity could have been increased by 28% (calculated using methods developed by Steve Schneider at NASA GRC). The pistonless pump can also be used for space tourist vehicles instead of the planned pressure fed systems. The pistonless pump system offers increased performance and greater safety over pressure fed systems because the passengers will not need to sit next to large heavy tanks full of high pressure rocket fuel. Furthermore, the pump allows for higher fuel pressures than for VAPAK systems, which increases combustion stability and performance and reduces the need for propellant conditioning. Launch vehicles use turbopumps which are expensive, difficult to design and difficult to test. In fact the space shuttle main engine turbopump has never been tested to it limits because it must be tested while bolted to the engine. This makes estimating its reliability difficult. The pistonless pump is easy to design, build and test and the operating margin and reliability are easy to quantify. 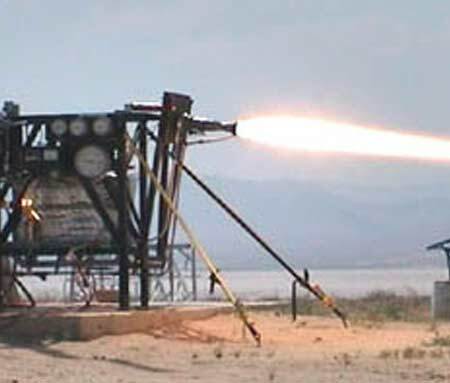 A pistonless pump may be tested on the pad before launch without lighting the engine. A launch vehicle could be built which uses helium to power the pump and this system would reauire less than 1% of the mass to run the pump as compared to 2-3% for a turbopump system. The liquid helium system was used on the lunar lander, so it is already man-rated. The pump has been tested with an Atlas vernier engine as a proof of concept test. The fuel and oxidizer were switched on at predetermined times using solenoid valves controlled by a laptop running Labview. Data was collected on the flow rates, pressures and thrust. The pump worked well maintaining pressure. The pump delivered kerosene at 2.8 MPa and 1.1 kg/s. The LOX was pressure fed for this test. Copyright Flometrics, Inc. all rights reserved. Website theme customization by Evolution Design.